When I first learned about REBSEA the thought that went through my mind was "what a great idea, bring together a bunch of real estate agents that want to give back to their communities and give them a platform to work from." I joined the next day, set up my profile and thought to myself "What Now?". I am sure that many of you had the same thought. The great idea of working with charities to get more business, then giving back a portion of the commission sounded simple when I was signing up. After all I was already on the Regional Board of a well respected national charity, I knew a couple people involved in others... this would be easy. All I had to do was call a charity and I would get business. Jump ahead a few hours. Several calls made with no luck. Mostly leaving messages that never did call back. The 2 charities that I talked to did not seem as enthusiastic as I was. The first basically just asked if I could give them some money... they had no interest in promoting me to their staff, board and volunteers/donors. They had no interest in anything that took work to accomplish. The second call went even worse... they had a Realtor on their Board and did not want to upset him by doing anything with another Realtor. I asked if he was donating 25% of his commission and they said "no, but he is on the board." The fact that most charities are going to have a board member who is a Realtor who will probably block me getting in the door. If not a board member then certainly a few agents who donate currently that the charity would be unlikely to want to upset. The charities seemed to have a simple model for fundraising... they did nothing to help and expected checks to flow in. If I had to reach out 1 by 1 to get charities on board this would move very slowly. REBSEA was already looking to add Mortgage people... lets open it up to all types of businesses that work with homeowners and Realtors. Let's build a local team that will work together to promote the organization, will help find and add charities and will increase the value to the charity. Wow... Simple! Today we have jumped forwards 3 months and we have an insurance agent, mortgage person, painter, home inspector, security salesperson, my real estate team and more already on board, and a mover, financial planner, sign company, roofer, remodeler and printer ready to join. All of these are willing to donate 5-10, even 15% of the job back to the charity. We are doing things to cross promote and increase all of our businesses. We have opened our kiosk and begun speaking with the public about Giving Back. We have 8 charities on board who will all be putting REBSEA on their websites, promoting us at events, to their board and to their donors and providing us with material to give out about their organization. We are working with the American Red Cross, Special Olympics, CASA, Community Computer Alliance, Employment for Seniors, Ohio Sled Hockey and more. We are currently finalizing 4 or 5 more. We are printing a brochure about REBSEA in Central Ohio that lists all of our participating businesses and their contact info for the charities to give out. We have secured a kiosk at the areas 2nd largest mall and we are all pitching in on the bill. This kiosk will be a REBSEA kiosk promoting the organization and through it all of our businesses. The cost is less than $100 per business per month. We are taking turns staffing the kiosk as much as possible. We are securing tables at various events put on by these charities where we will promote REBSEA directly to the supporters, staff and beneficiaries. We built a simple 5 page local website called OHIO REBSEA Happenings to localize our promotions. When we approach charities no one has said "not interested" or "we have a board member". The value of a group of businesses is far more than a lone real estate agent. We meet every month to strategize and work together, allowing us to network amongst ourselves and grow our business that way as well. 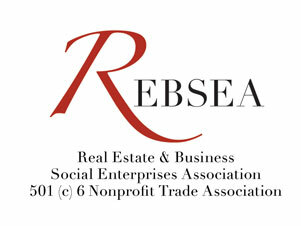 The end result is a group of new REBSEA members in different industries. These were all people I already knew so I knew they had the charitable mindset needed to make this work. The charities have numerous companies donating which will lead to far more donations. The team allows for the kiosk, events, brochures and more... and best of all for the busy real estate agent out there... it spreads the work out. As we go forward into 2015 and this all rolls out I am excited to see the results. My thanks go out to David for talking though this with me and allowing the other businesses to join. I am blessed to have my dear friend Clif Gates helping with this plan as well as running the operational side of my real estate buisness. I am happy to talk to anyone who has questions so please feel free to reach out.